To set up an appointment or just ask for more information, fill out the form below and we’ll get back to you shortly. 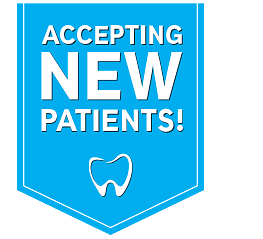 Or, if you prefer, you can email Dr. Pham or our office manager at info@phamdentalcare.com with a question or request. From Portland: Traveling West on Hwy. 26 (Sunset Hwy. ), take the “Park Way/Barnes Road" exit (Exit 69B). At the traffic light, turn left and go under the Sunset Hwy. Stay in the right lane and turn right at the traffic light. (Signs are marked "Cedar Hills".) We are just ahead on the right. From Tigard: Traveling North on Hwy. 217, take the "Walker Road" exit (exit before Hwy 26). Go left at the light onto Walker. Take the first right onto Roxbury. This street winds up past a church and a small park. At the top of the hill (at the "Y" intersection) turn left onto Marlow. Turn right onto Park Way at the 4-way stop. We are about 1/2 block up on the left. From Hillsboro/Aloha/Coast: Follow Hwy. 26 to the “Park Way/Barnes Road" exit (just beyond Hwy. 217 exit). Once on the exit ramp, stay to the left and go straight ahead at the stop light. (Sign reads "Cedar Hills.) This will take you in front of the shopping center. We are on the left. From Cedar Hills Blvd - Beaverton (going North): Turn right at Park Way (next traffic light after Walker). Go past the school and up the hill. At the top of the hill (4-way stop), go straight though continuing on Park Way. We are on the left. From Portland: Take the Red or Blue MAX heading to Hillsboro or Beaverton. Get off at the Sunset Transit Center. Take the bridge, crossing over Hwy 26 (heading south). At the bottom/end of the pedestrian ramp, head left toward the DMV (about 1/2 block). Head left on Park Way. Our office is about 1/2 block up on the left. From Hillsboro or Beaverton: Take the MAX heading to Portland. Get off at the Sunset Transit Center. Take the bridge, crossing over Hwy 26 (heading south). At the bottom/end of the pedestrian ramp, head left toward the DMV (about 1/2 block). Head left on Park Way. Our office is about 1/2 block up on the left.